A Literary Odyssey: Book 108: Jude the Obscure and Book Stats. Thomas Hardy is one of the many reasons I am glad that I started this whole shebang. I had never heard of him (I know, crazy! ), and I read him for the first time just over a year ago. I picked up The Mayor of Casterbridge on a whim and really just sank into it. I have loved this process of re-discovering the Victorians. I have always loved George Eliot, but I have strayed away from her contemporaries. I think, because of my negative experiences with Dickens, I used to see them as wordy snobs. But I have really come to realize that they really give depth to their characters and stories. And yes, Dickens is still too wordy for my tastes. With my first Hardy experience, I was really drawn to the characters. Hardy was an experimental writer, and that really showed in The Mayor of Casterbridge. I am curious to see how this one compares. From the little that I have discovered, I know that this was Hardy's last novel. And like Mayor, I am expecting a lot of social commentary. I am also expecting it to be on the depressing side (Mayor was slightly sad, and I have heard that this one is exceedingly so). Nevertheless, I am sure it will be a great reading experience. I am also reading this one on Homer. I do have a paperback version, but I think mixing it up won't hurt, and Project Gutenberg has seriously become my best friend. 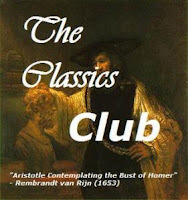 Knowing that I am reading this on Homer, I know it will take me a little longer-Homer wears out my eyes a lot faster. This will be my second Nook reading experience! 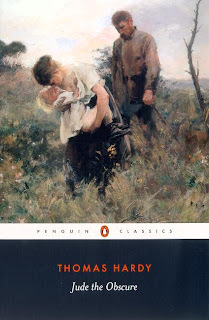 I feel I should also point out that I still have a number of Hardy novels on my list: Far From the Madding Crowd, Tess of D'Urbervilles, and Return of the Native. What experience do you have with Hardy? What other Victorians do you love or hate? I avoided most of the Victorians for a long time because I thought they were wordy and disconnected from my experience. It's only been within the past year or so that I've really started to appreciate their work-- and it was actually Hardy who convinced me to give the era a second look! I absolutely adored Tess (despite its depressing and aggravating gender relations!) and was bound up in Mayor. I think Jude has a different feel to it-- probably because Hardy was more mature and cynical by that point-- but I think it may be my favorite of the 3. I look forward to reading your thoughts on it! I chose to read this one specifically because supposedly he quit writing novels after the criticism he got for this one, and I can see why after reading it! Good book. I also avoided Hardy and the Victorians because I had a negative impression of them. I wonder where we all got that from? One of my friends convinced me to try reading Jude the Obscure and I absolutely loved it. 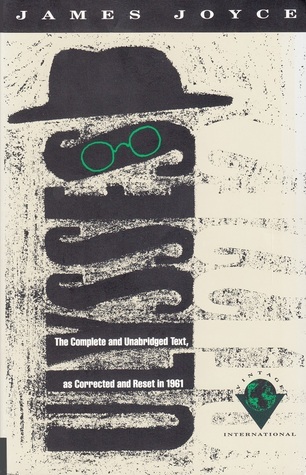 But I still haven't read any of his other works, and it seems like I need to in order to get a better sense of him. I look forward to hearing your thoughts! I have yet to read a Hardy novel. I have RETURN OF THE NATIVE on my shelf, though, waiting for me. I read this one, my very first Hardy, earlier this year and was blown away. It's incredibly intense, and sad, but it left me wanting to read more from the author. For Hardy, I've only read Tess, which I thought dragged -- so many descriptions of farming and haying and digging up turnips, come on!!! However, I've heard good things about Return of the Native and Mayor Casterbridge, which is the December read for my IRL Classics Group. I'll give him another shot. If you're turned off by Dickens I recommend Trollope. He isn't nearly as wordy and melodramatic. A lot of his books are political, and he also pokes fun at Dickens -- in The Warden he refers to him as Mr. Popular Sentiment, which cracked me up. Nevertheless, I do love most of Dickens, except for Hard Times which I hated. I also love Elizabeth Gaskell so far. I've only read one Thackeray, Vanity Fair, which went on forever. Not my favorite. The only Hardy I've read was The Mayor of Casterbridge in high school, although I've seen several adaptations on PBS. I don't know anything about this one, though. I'd like to read more Hardy--probably all of the ones you have on your list. As for my other Victorian favorites--Wilkie Collins and Elizabeth Gaskell are probably at the top. I still need to read George Eliot's works, and I would like to try Trollope as well. So many books!